This is the third newbuilding delivered to Atlantic Offshore the past year. CEO Roy Wareberg is pleased to develop a modern and internationally competitive offshore fleet. Six more vessels are currently under construction at several shipyards. – Both authorities and operators set high standards for safety and environmental contingency. Atlantic Offshore has an extensive newbuilding program and has gradually taken a strong international position in the marked for emergency vessels and supply vessels. The ships are equipped with the latest technology, and contingency services related to fire, oil spill and rescue operations, says Wareberg. The new vessels meet stringent environmental regulations. 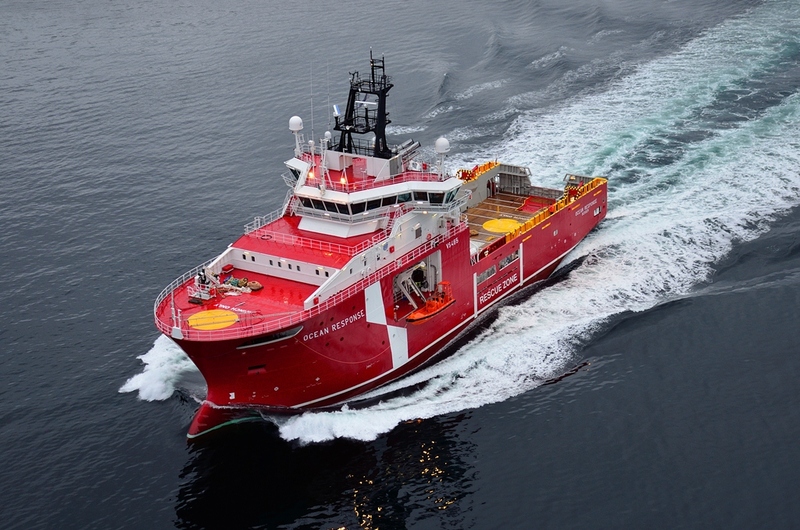 Ocean Response is built by Bergen Group BMV in Bergen, and both the yard and the company believe the ship sets a new standard in offshore vessels. Atlantic Offshore’s strategy is to be of the leading operators in the segment of standby- and platform supply vessels. We are committed to this strategy. Ocean Response is the next generation emergency response & rescue vessel, constructed to handle advanced emergency- and rescue operations, and maintenance of loading hoses in oil fields, says Wareberg. Ocean Response is a VS 465 MKII, developed and designed by Wärtsilä Ship Design in cooperation with Atlantic Offshore. She is 75 meters long and evacuation space for 370 people, equipped with fire emergency (Fi-Fi I and II), 1st line oil spill response, and the bolloard pull is 120ton.